58 - Victoria Felkar Using food as a therapeutic tool and hormone manipulation in sports. 42 - Tom Bilyeu #ttfubc, How To Find Your Passion. Mathematically Shifting Your Perspective. 39 - Deconstructing The "Titan" Mike O Hearn Testosterone Hacking, Daily Routines and Refusing To Be Outworked. 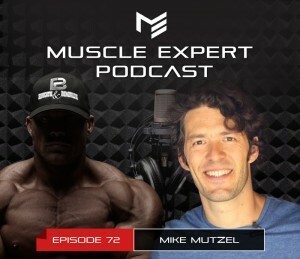 27 - Losing 100lbs of Solid Muscle, Optimizing Gut Health, The Pillars of Hypertrophy, Men's Physique and Steroids and MORE! 30 - Brad Schoenfeld, latest research on the mind muscle connection, future of nutrition and training optimization, eccentric training and more! 26 - Dorian Yates Ayahuasca, Pre workout Rituals, Psychedelics and Electric food. 23 Joe Bennett The Hypertrophy Coach, Proper exercise selection, muscle activation techniques and the holy grail of muscle building. 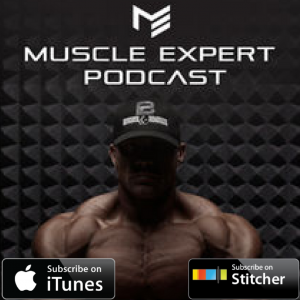 20 Stan Efferding Expert Sleep, Nutrition and Recovery Strategies For Elite Performance, Vertical Dieting For Muscle and More! Get the transcript for this episode plus access to past episode transcripts! Lean into your evolution. Mike Mutzel goes in on how looking at our past is key to being healthy in the present. Ben and Mike discuss how getting outside, eating whole foods, and a seasonal diet can hack your evolution. Congrats to iTunes listener BagsJens! You have won our December/January contest from ATP Labs! 2:30- Daily rituals to improve your life. 4:15- How daily sunlight is necessary for your body to function properly and how to supplement for sun when you can’t get outside. 10:47- Changing your physiology and psychology, getting back to nature to supplement your body. How whole foods can provide the quality of nutrients that optimize your health. 13:50- Get outside! Diversifying your diet, environment and growing your own food is key to a healthy gut. 17:00- Seasonality and your diet. Eating locally and seasonally can optimize your nutrition. 22:30- Inflammation, the micro biome, and catabolism. 25:05- The Belly Fat Effect, food comas and metabolic endotoxemia. The effects of excessive carb-loading on inflammation. 28:50- Health and the body builder diet. Balancing a mass diet with whole foods. 35:35- Chew your food! How to improve your digestive rate. 40:00- Keto diet factors- biology, seasonality, and the micro biome affect your success. 46:00- Ketosis goals, fat adaptation, metabolic flexibility and weight loss. 48:50- Cortisol adrenal fatigue, and ketogenic dieting. 51:30- How Mike adapts keto pre and post workout. 54:10- Is chasing ketone levels appropriate? What does a healthy ketogenic diet look like? 59:50- Eating raw fresh foods is key, sprout your greens and eat fresh to fight inflammation, allergies and more. 1:02:05- The Belly Fat Effect. Mike’s book on nutrition, fat loss and all of its factors. 1:06:30- Understanding fat cell health. What does it mean? What does it look like? And how can you influence it? 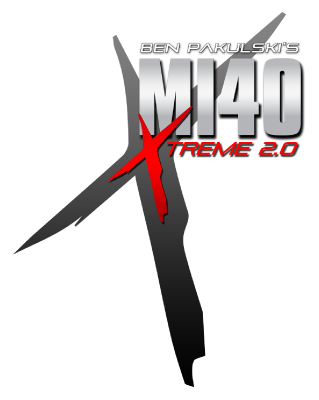 1:08:00- Mike’s advice on what you can do NOW that will have the greatest impact on their health and performance. This podcast is brought to you by Prime Fitness USA, bringing you the most innovative strength training equipment using their patented SmartStrength technology. This podcast is brought to you by ATP Lab! For cutting-edge supplementation with a purpose, check out ATP Labs. This podcast is made possible by Gasp! Top notch quality training wear, Muscle Expert approved training gear! Get 10% off when you use the discount code BEN10 at checkout at Gasp Online Today!